Does this infused oil have capsaicin extract? 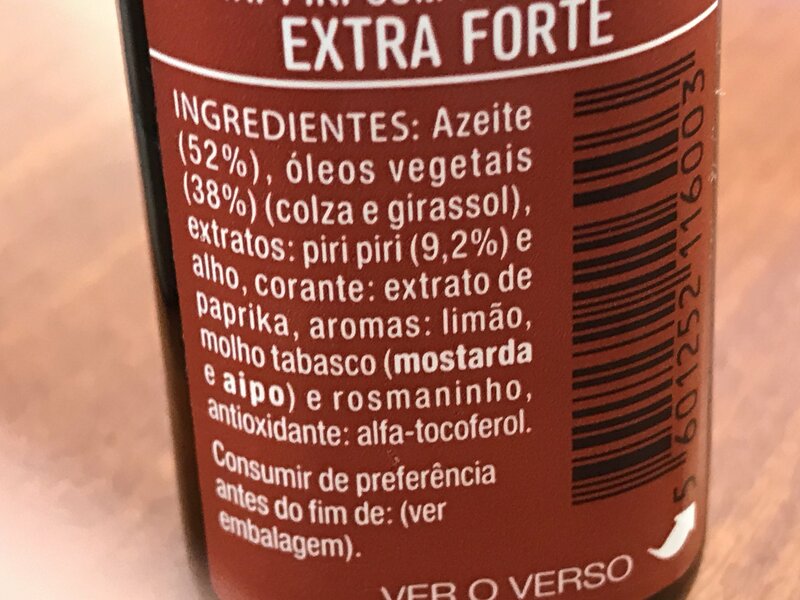 Piri-piri com Azeite Extra-Forte - infused oil. It was much hotter than I imagined it would be. I tasted what appeared to be the distinct flavor of capsaicin extract and it is going through me like hot sauce with capsaicin extract. The ingredients state 9.2% Piri-Piri extract. 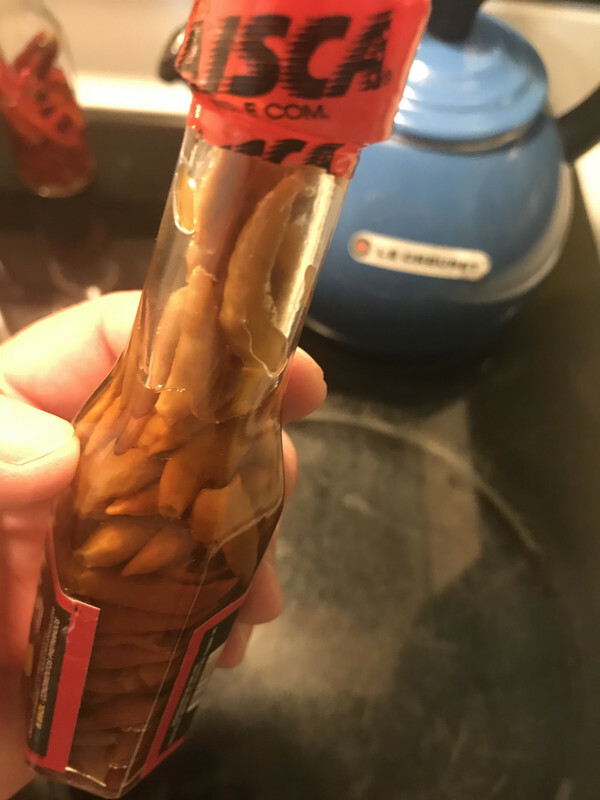 Can I assume this is capsaicin extract? Edited by dragon49, 04 September 2018 - 07:07 PM. 52% oil, 38% sunflower and rapeseed oil, 9.2% extracts of piri piri and garlic, coloring agent: paprika extract, aroma:lemon, tobasco paste w/mustard and celery, and rosemary. It's nice to be abe to put my portuguese speaking skills to work every once in a while. Edited by Thegreenchilemonster, 09 September 2018 - 08:47 AM. 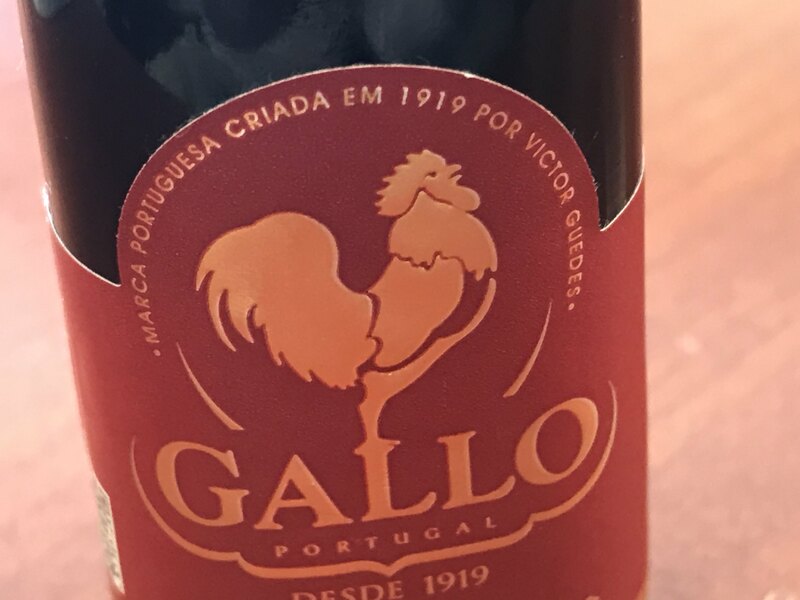 Portuguese, eh? I wondered why my spanish was feeling rusty. Yeah, I speak, read, and write both Brazilian Portuguese and Spanish. Ah come on, I bet it's just as good! It may have been 15 yrs ago now that I reminisce... THP, if you're willing to give it a whirl.....take one for the team.... I can arrange it. 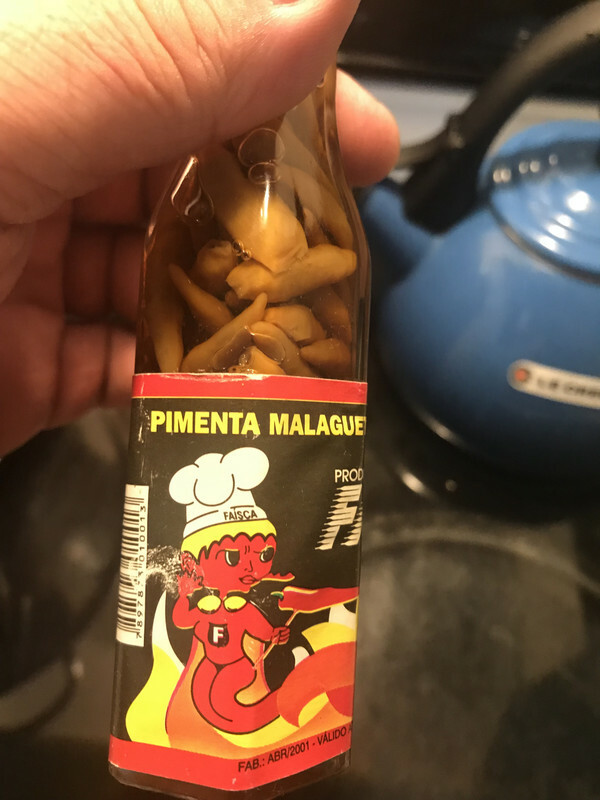 It's Malaguetta chillies pickled in a salted vinegar, according to that ingredients list, and they've clearly had most of their colour leeched out by the liquid. 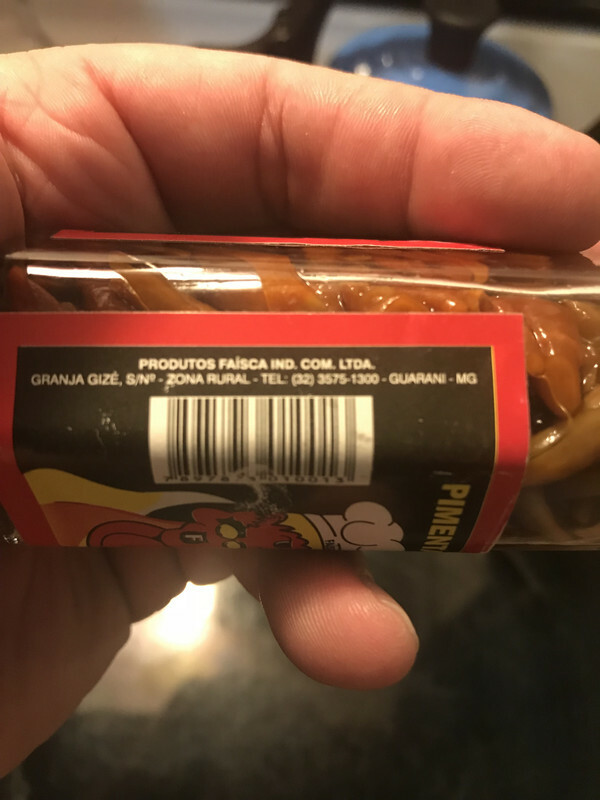 They're common peppers in brazil and I remember them having a rather unique taste but I don't recall much beyond that. I've not had them in a few years at least, since they're not nearly as frequently used over here, but I think they were a fairly medium heat. Definitely well below Habanero. Edited by spicefreak, 10 September 2018 - 09:31 PM. Yeah, the bottle doesn't really have much description as to the contents aside from the ingredients list. It does say that it was manufactured in April of 2001, and is good through April of 2004. I would definitely not attempt to eat that, considering it is over 14 years expired.